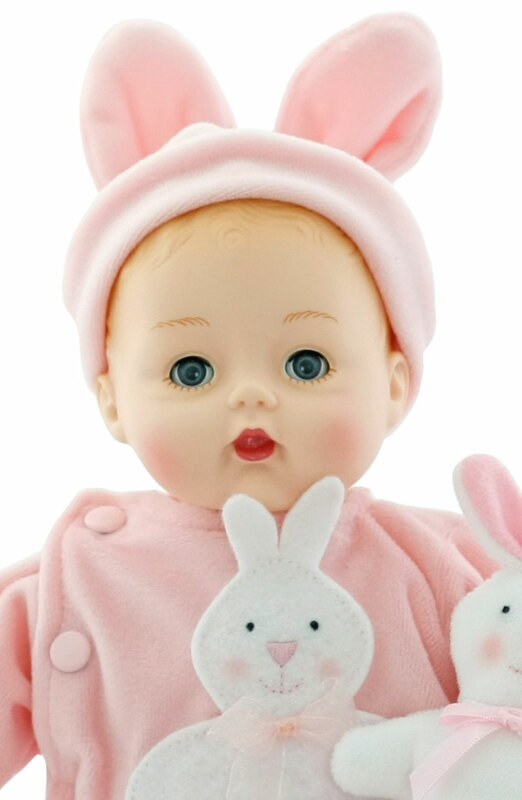 Pink Bunny Huggums is a darling 12 inch baby doll with blue eyes and light brown painted hair. She has a huggable cloth body with limbs and a head made of high-quality vinyl. She wears a footed, pink velour onesie that has snap openings on one side. 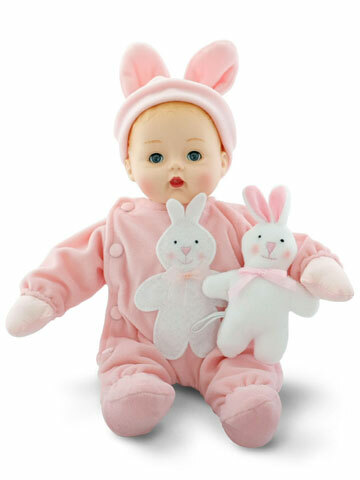 An applique of a white felt rabbit with floppy bunny ears and a pink organza ribbon decorates the front of her onsie. On the back of her onsie there is an applique of the back view of the rabbit, complete with a tail. 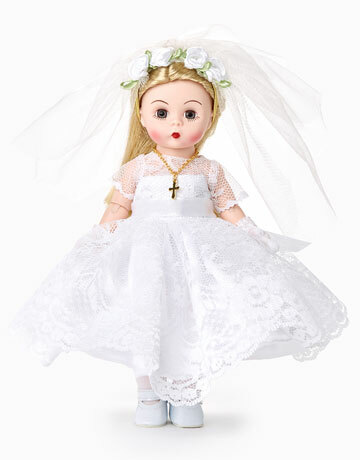 This sweet huggums doll comes with a plush white bunny that has an embroidered face and a pink satin bow. 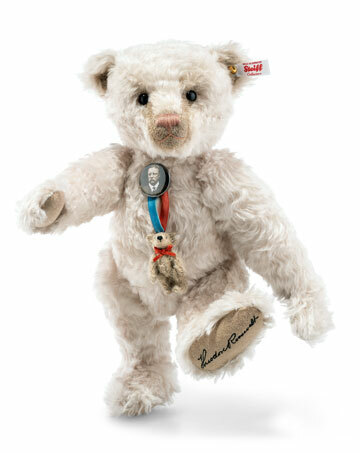 Part of the Baby Alexander Collection. Suitable for ages 2 and up.